London has overtaken Hong Kong as the world's most expensive city to rent homes and offices as property prices soar. Real estate firm Savills found that the combined cost of renting living and working space for a single person has risen to $120,568 a year in London. That's up a staggering 39% from 2008. Hong Kong has slipped to second position, after five years at the top, Savills said. 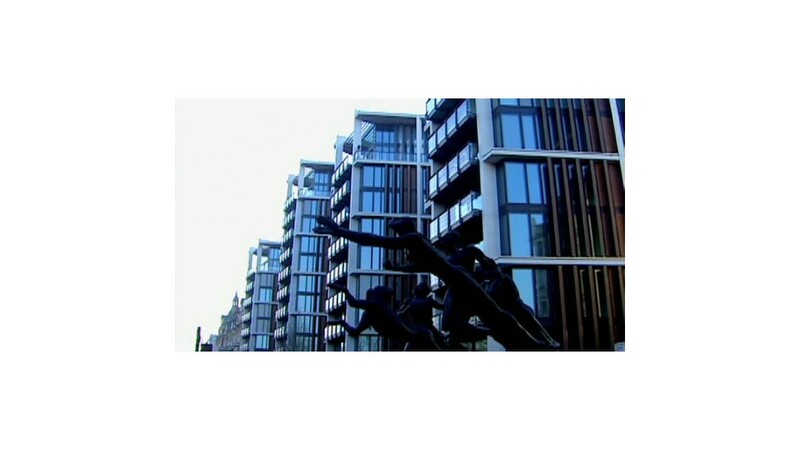 London's rise has been driven by a surge in property prices, and a stronger pound, which inflated the costs in dollars. Residential real estate prices have risen 18.4% in the past year and office rents have also increased. By contrast, Hong Kong rents have dropped due to weaker demand as many companies downsize and require less space. That's a real turnaround from 2011, when the city's costs per person hit $128,000. But being at the top of the list isn't necessarily a good thing. Rising rents are making London less affordable for some businesses, and pose a threat to the city's ability to compete globally, Savills said in its annual survey of costs in 12 cities around the world. "Gentrification has priced out new start-ups and the vitality of central London locations are at risk as they become too expensive for the type of occupiers that made them attractive in the first place," it added. Apart from adding directly to companies' overheads, rising real estate costs may mean employers face pressure to pay their staff higher salaries. New York and Paris are ranked third and fourth, with home and office space costs exceeding $100,000 a year per employee. The Savills survey takes account of rents, related real estate costs such as taxes, and changes in exchange rates. Other cost-of-living surveys that measure a broader set of factors can produce different results. One recent study named Tokyo, Osaka and Sydney as the most expensive cities in the world.